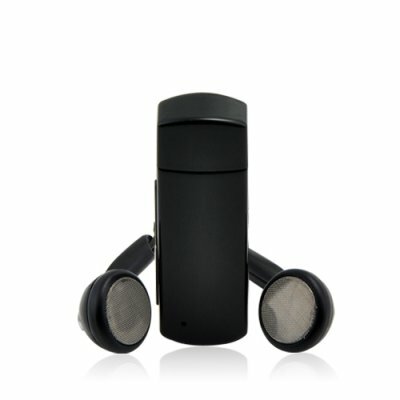 Successfully Added Micro MP3 -Ultra Portable -2GB to your Shopping Cart. Micro MP3 -Ultra Portable -2GB. This micro-sized flash disk doubles as an MP3 player, or you can also think of it as an MP3 player doubling as a flash disk - either way, this is one handy USB flash memory gadget. The thumb drive works as a convenient USB storage device for any files you choose to store on it. The intelligent player function will recognize only the stored MP3 files and then play them when you choose to use it as a portable music stick. With simple volume up / down and next / previous buttons, the music function gets the music going quickly when you need a music pick me up. This model makes a convenient pocket sized flash memory HDD and MP3 player when you don't want to take your bigger and more expensive player out with you. Click "Add to Cart" now to have us instantly ship this to you today. Do not pass up the opportunity to add this gadget to your collection of digital life devices. on 2009-07-17 08:33:52 Excelente!! Ótimo produto. Excelente!Ótimo produto pequeno, mas durável, recebi em 15 dias. Eu recomendo.